You want to sell Munchkin expansions, but you’re not sure what to carry? This package is all you need. 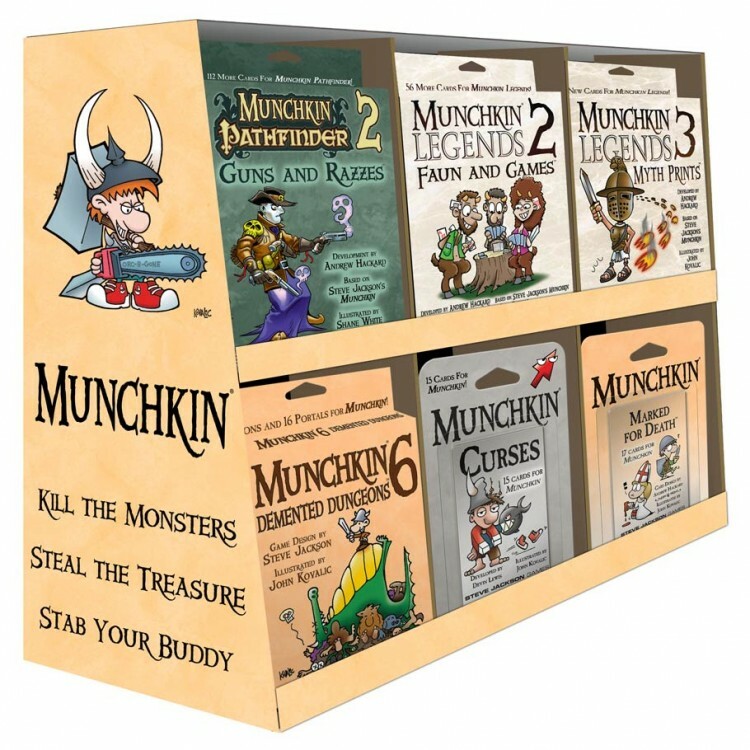 It includes several popular expansions, and the attractive display showcases the classic Munchkin art that has drawn players to our games for years.